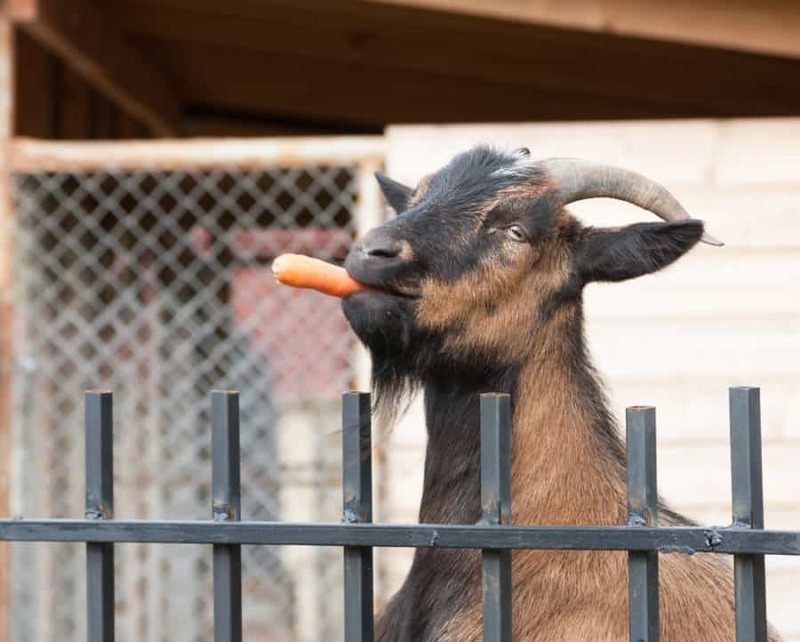 Here are 25 goat fence ideas to inspire you when creating a fence for your goat. Goats are amazing animals. They can be wonderful companions for humans and other animals. They are cute, playful, and fun. They are even great for security purposes. Just like a dog, and sometimes even better, your goats will alert you when strangers come onto your property. They are so good at eating weeds and grass that people rent them out and hire herds of goats to take care of their weed control needs. A herd of goats, portable fencing, a good sheep dog, and a goat shepherd is much more cost effective than gardeners for large spaces like fields and levees. 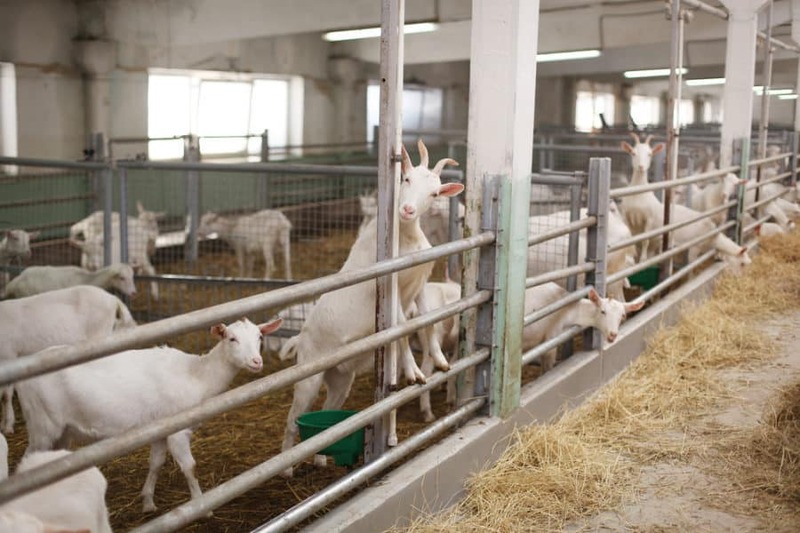 Goats are wonderful for self-sufficient people and entrepreneurs. You can make money with goats by selling milk, making cheese, selling cashmere wool, or even selling the goats themselves. You can also use the milk to make soap. One of the best natural soaps around is made with goats milk. Soap made with goats milk is full of vitamins and minerals. It even contains natural exfoliating alpha hydroxy acids. The cream is also very moisturizing without using harmful chemicals or clogging delicate pores. Your goats can eat just about any grass or shrub. Although, there are plants that are poisonous to goats. These include azaleas, hemlock, wild cherry, and plants from the laurel family. You can supplement your goats diet with hay, grain, or goat feed pellets. 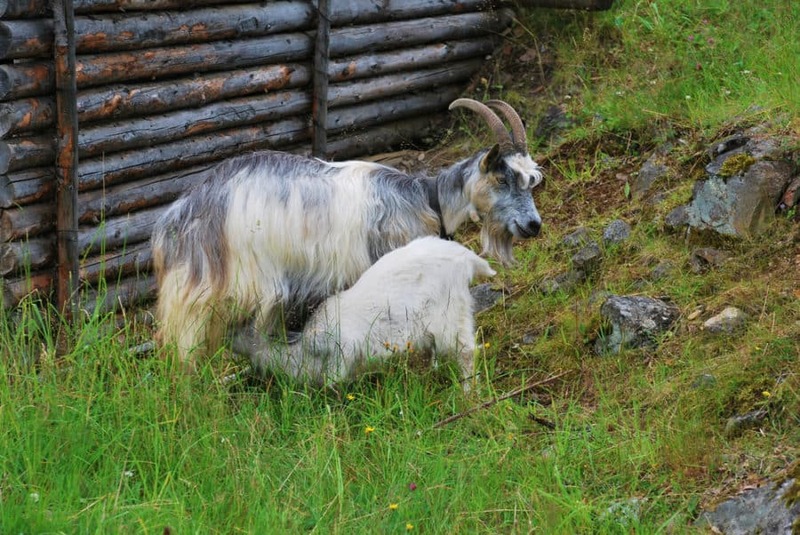 You can also supplement minerals and selenium and give your goats access to a salt lick. 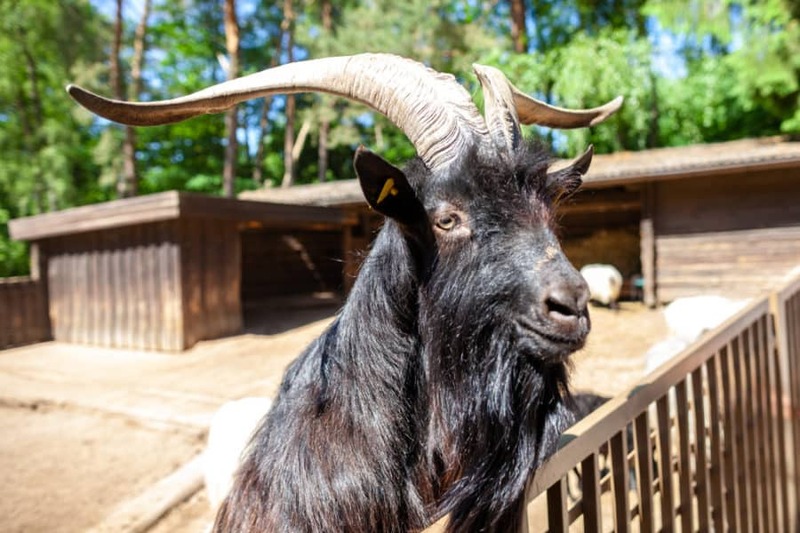 There are several different breeds of goats depending on what purpose you want them for. 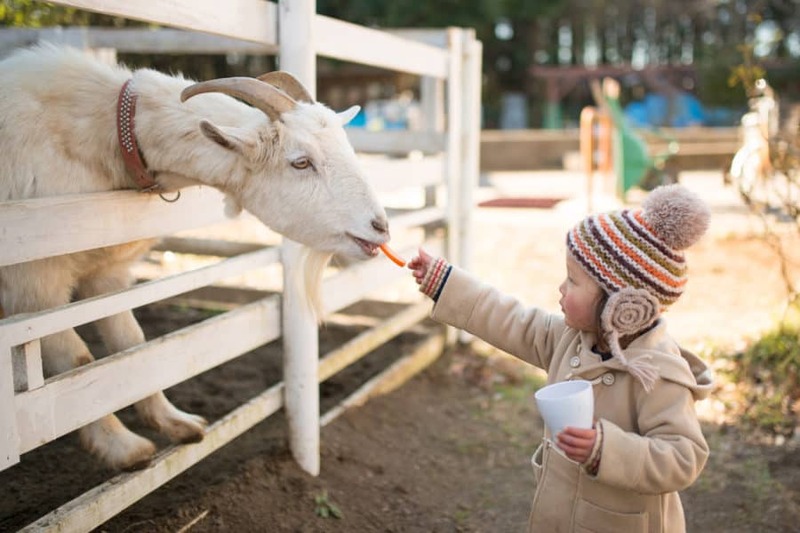 The goat care for all of the breeds is similar. Goats follow the pack and are easily herded. There was a recent news story about a hole in a fence leading to a herd of “goats for hire” descending on a residential area. It’s important to have a safe and secure area for your goats to live. This is why goat fencing is so important. 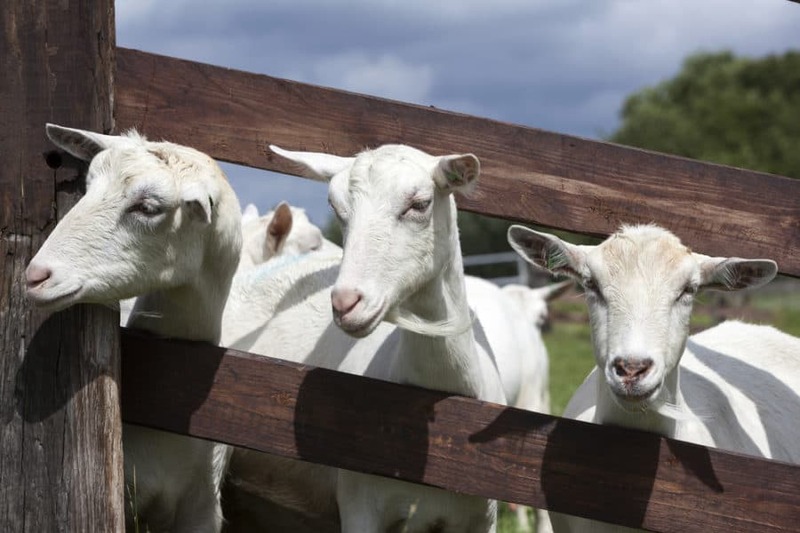 There is a lot to consider when deciding how to build your goat fence. 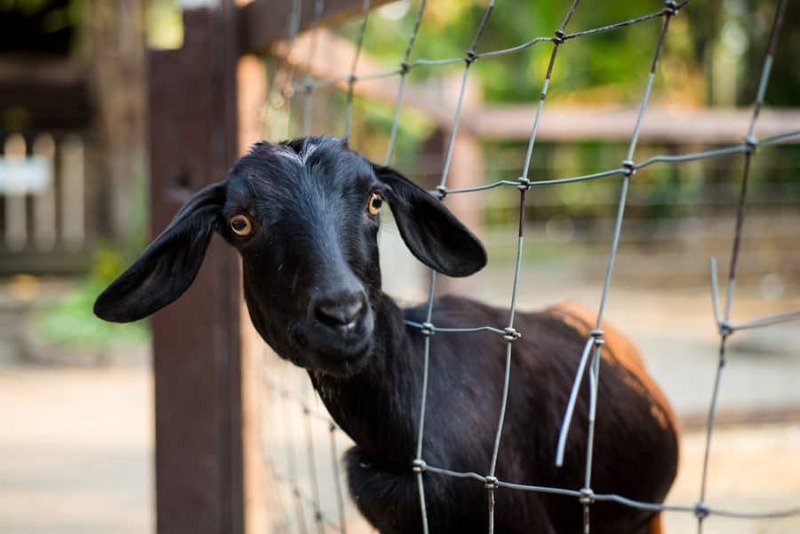 You want the fence to be secure enough to keep your goats in and predators out (and create privacy, as we discuss in our Backyard Privacy Ideas article). The way the fence looks and the price are also considerations. Hopefully, you can find some inspiration with the below suggestions. Here’s an affordable way to keep your goat where you want him. Large square wire fencing strung between wooden posts. This option is affordable, easy, and allows your goat to peek his head through for petting and cuddles. Here is a another wire goat fence. This one is more heavy duty and strung between round wooden posts. The rectangles get smaller at the bottom, so your goat can peak his head through, but can’t escape. Here is another rectangular goat fence with the rectangles getting gradually smaller towards the bottom of the fence. This one is made from heavy gauge wire or metal to keep the goats safe and where they belong. Here is a wire mesh fence strug between 2x4s or metal bars. This fence may not be the best looking fence around, but it is affordable and gets the job done. Use whatever you have around for this fence design. Not the most gentle of fences. No one likes spiked barbed wire, but it can be a great barrier when needed. This is an old-fashioned option that can be used in a pinch. Easy to put up and affordable. This is a stylish option that can be made with reclaimed wood or any rustic option that you can find. Large slats with just enough space for your goat to peek out of adds style to your country home or farm. Here’s an idea. 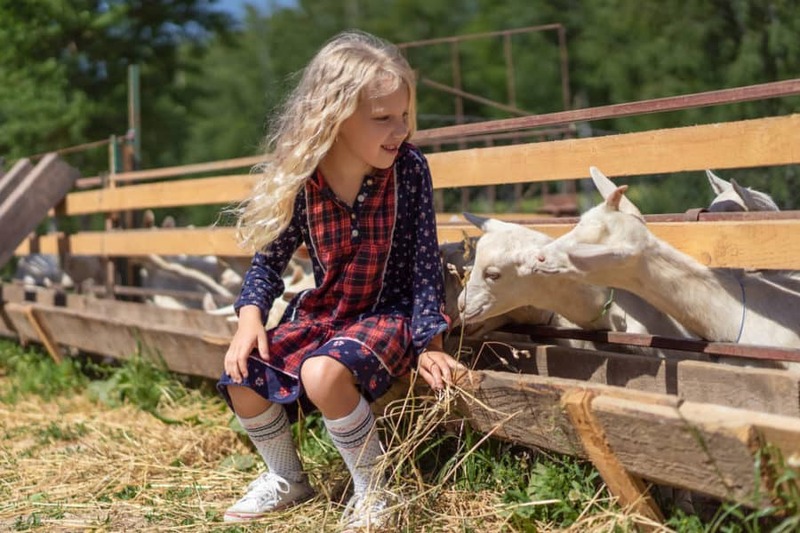 Keep your goat family contained and make feeding time a breeze. Wooden slats keep the goats where they are supposed to be, and the outside trough makes it easy to make sure your goats always have plenty to eat. 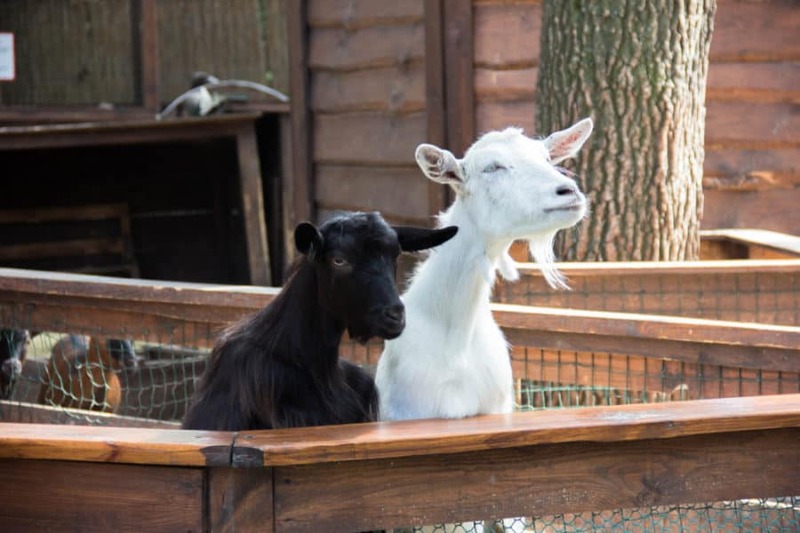 If you have goats, you may live in a cabin. Here is a rustic log idea that will maintain that cabin look and feel. Small logs are stacked on top of each other and help in place with wooden or metal slats. 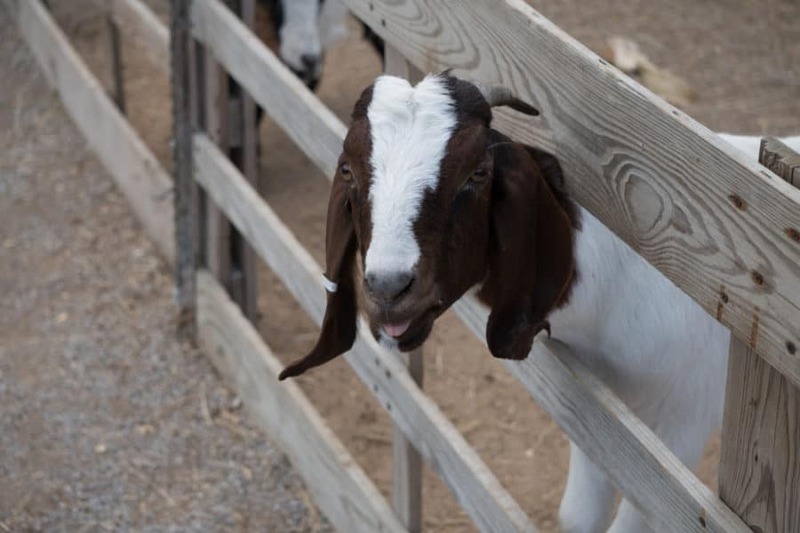 This goat fence is created with posts or 2x4s and alternating thick and thin wooden slats. This fence looks great and keeps your goats safe while allowing little visitors to interact with your animals. Here is a fence that can be made with your choice of sizes of wooden slats. Just make the post slats larger. Metal bolts can be used to secure the fence and then a colorful coat of paint ties it all together. This fence is large enough to contain the goats but allows for a great view. Corner posts and side and top boards are assembled in an octagon pattern and then stained a dark brown. Wire or garden mesh is attached to the frames to keep the goats inside. This option looks great, but may not be a super secure option. Uneven ground is no problem with this corral style fence. Just adjust it to the slope of the land. 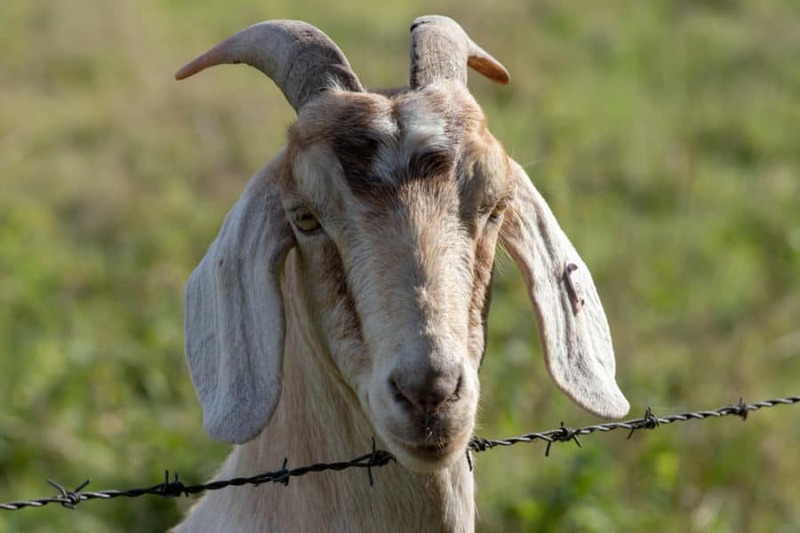 If your goats love hanging out in the pasture and eating weeds and grass, this is the perfect fence to keep them contained. This is a great DIY goat fence option. Just get some posts and boards and nail the boards to the posts. This is a great looking wooden fence option that is affordable and secure. This fence is made from larger boards with larger space on top and smaller boards with smaller spaces on the bottom. This will keep your goat secure without obstructing its view. A colorful paint is a great finishing touch. 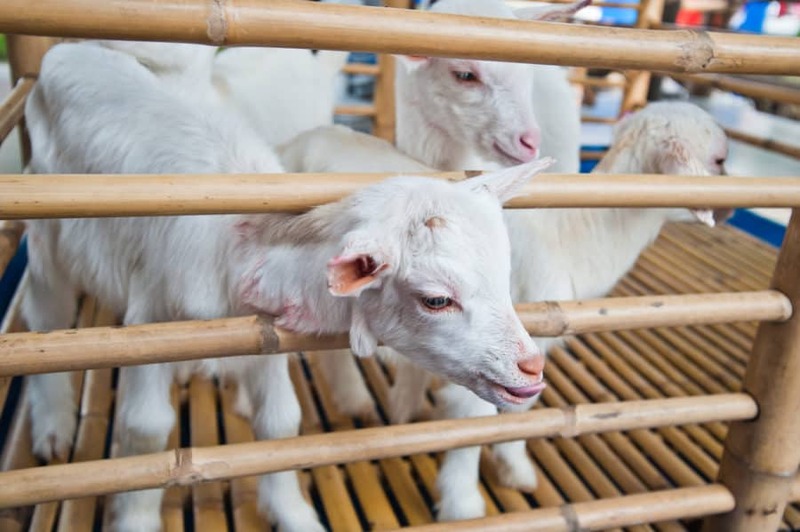 Bamboo poles slid into larger bamboo posts make a secure fence for these baby goats. Turn it into a lightweight goat pen by adding bamboo flooring. This is an eco friendly option that keeps these babies where they belong. These wooden slats are larger at the top and bottom for extra strength and security. The thinner slats in the middle allow the goats to poke their heads out and take in the view. This is simple and effective option. Get some boards and and brace them with diagonal boards and you have a goat fence that is strong, affordable, and looks great. 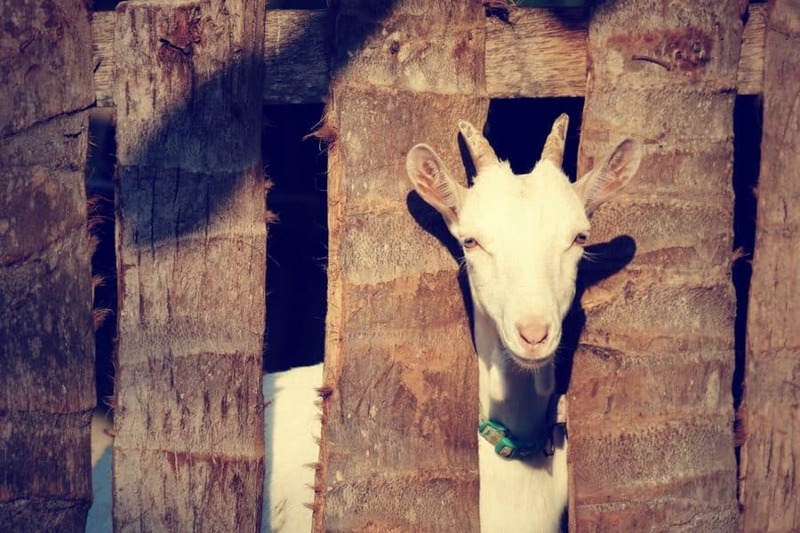 Keep your goats safe with this easy DIY goat corral option. Not everything has to be matchy matchy. This goat fence was built with what they had laying around the barn. Reclaimed wood is a wonderful way to create a great looking fence without breaking the bank account. 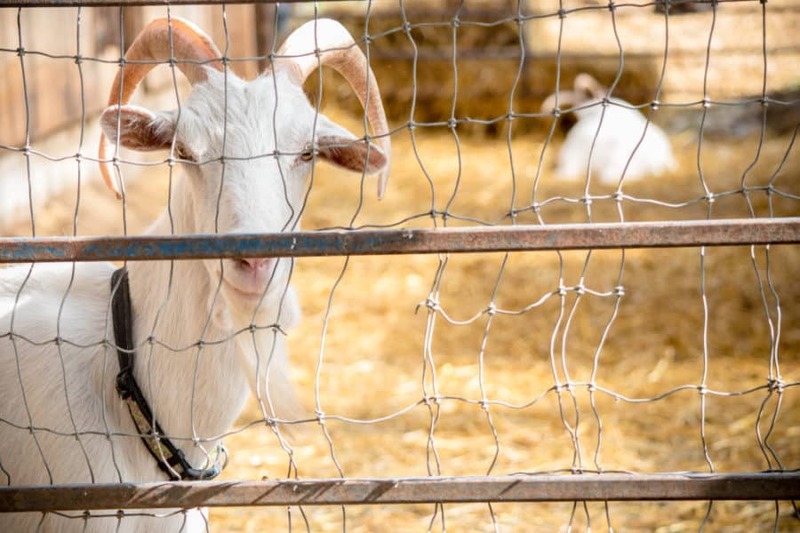 This goat fence or pen is for a goat exhibit, but the colorful idea can be used to create a fun and lively goat pen wherever you want to keep your goats. Primary colors and variations blend well in nature and create a fun habitat for your goats. If you live in a rural area and your home is already surrounded by a wrought iron fence, you have a built in goat pen. Wrought iron is strong, beautiful, and lasts a very long time. Here is another wrought iron variation that will keep your goats safe whether they are grazing on weeds and grass or eating treats like carrots. 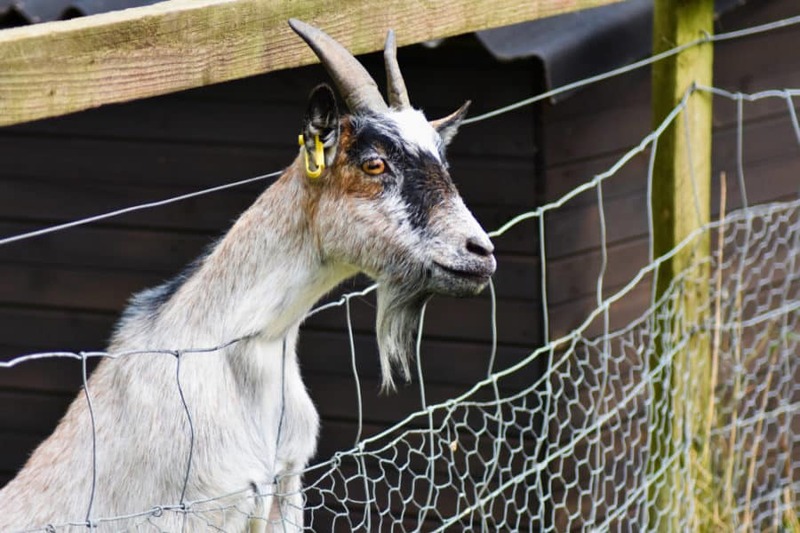 Goats don’t require a lot of fancy things, but a strong fence can keep them at home where they are safe. Here is a farm style goat pen with fencing made from horizontal metal poles. This could be an option depending on your circumstances. Although, this looks more like a farm solution. The chain link fence is a fencing standby. The animals are safe, yet views aren’t obstructed. Chain link is a good option for long lasting heavy duty fencing. This not only keeps the goats safe but all of their friends too. 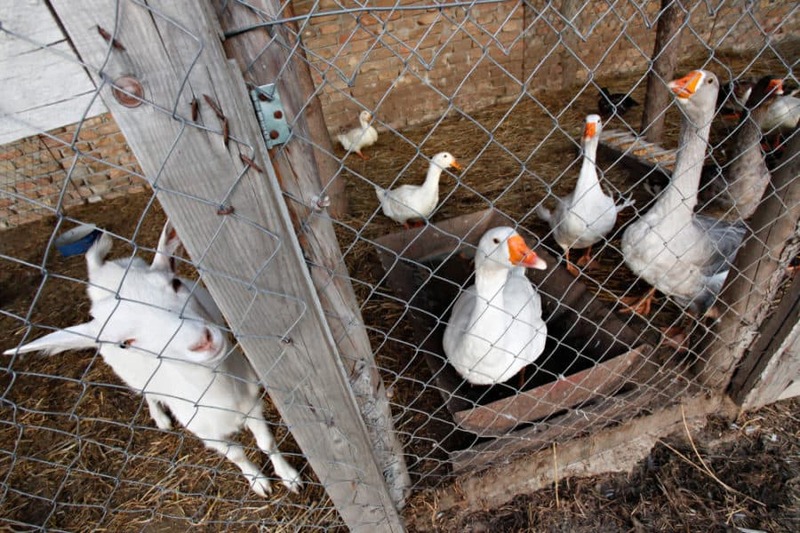 Here is a goat pen that looks like a chicken coop. It not only keeps the baby goats safe, but their goose friends too. Just take some boards and wire mesh and build away until you have a safe hideaway for all of your precious animals. Here is a variation of the above coop pen, but multiple types of wire are used for added security. 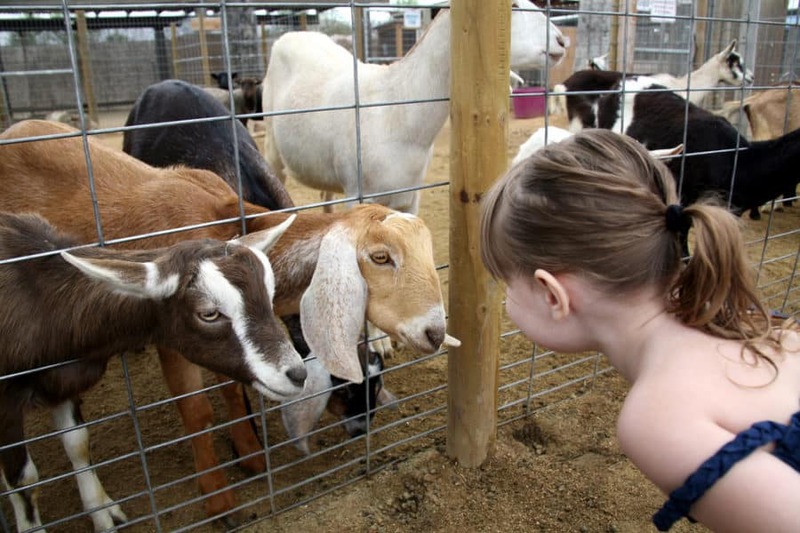 Large wire mesh at the top makes it possible for the goat to have a clear view and easy petting. Smaller chicken wire at the bottom makes sure no one wiggles out. 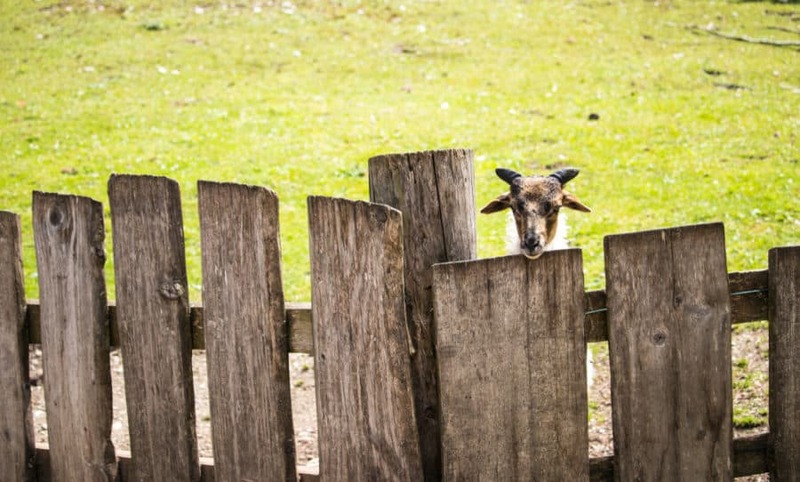 Hopefully, these ideas have helped to inspire you to build the perfect fence for your goat. 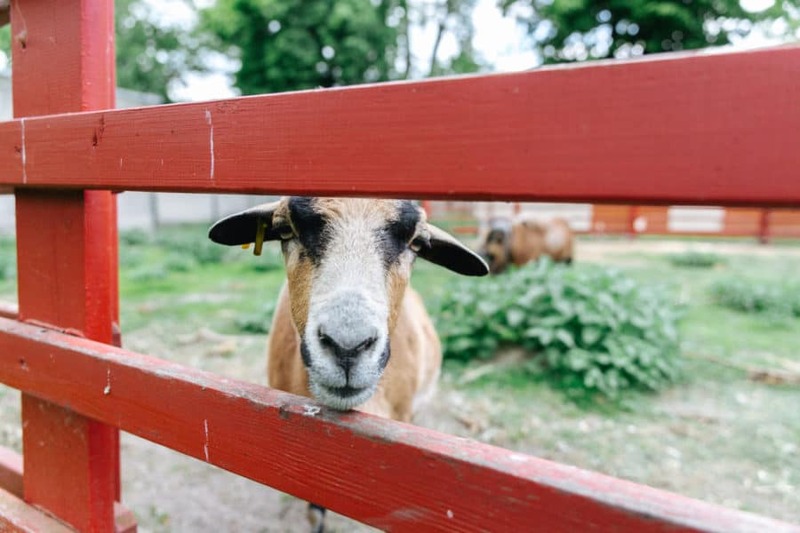 You don’t have to duplicate the exact fence but some of the ideas may be helpful in designing the perfect goat fence for your yard or property. 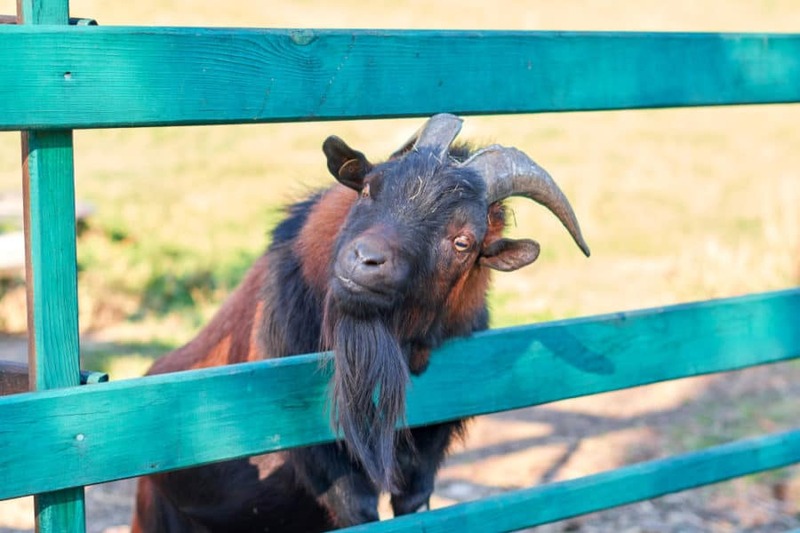 We also have some great fence gate ideas to make your goat pen really stand out.